With the creation and implementation of the Healthy Soils Initiative, California has positioned itself as a leader for climate smart solutions in agriculture. However, recent debates about the potential for agriculture to mitigate greenhouse Gas (GHG) emissions underscores the importance of new research and robust climate modeling efforts. In an effort to improve existing GHG models for agriculture, researchers from UC Davis, Colorado State University, and USDA collaborated on a recent white paper published on the USDA’s Climate Hub website. The paper reviews greenhouse gas emissions from specialty crops in California and describes various practices influencing GHG emissions in these systems. It also identifies research gaps that will help standardize emissions estimates given these factors. The paper presents new research regarding key speciality crops. These include tomatoes, strawberries, lettuce, cool season vegetables such as broccoli and cauliflower, and fruit and nut crops including grapes. California produces vast acreages of these crops, accounting for the majority of U.S. production in each sector. These crops make significant contributions to the agricultural sector’s greenhouse gas footprint, which accounts for 8% of total California emissions. Nitrous Oxide, a greenhouse gas 298 times more potent than carbon dioxide, makes up the bulk of emissions from specialty crops. By conducting a thorough literature review, the authors were able to improve estimates of the greenhouse gas mitigation potential of various conservation practices in these cropping systems. The research presented in the white paper will help to update DayCent, an ecosystem model that simulates the “flux” of carbon and nitrogen between the atmosphere, plants, and soils. DayCent tracks this exchange based on detailed factors, including soil type, weather, and management practices. The model underpins COMET-Planner, which is used by state and federal agencies to calculate the climate benefit of various agricultural practices. By creating management-style specific Nitrous Oxide emission factors for many of these specialty crops, this research greatly improves the efficacy of the COMET-Planner tool. Previously, only 65% of California cropland could be modeled in COMET-Planner- today, due to this research, that number has increased to 85%. While this represents a vast improvement in our ability to understand GHG dynamics in California agriculture, the authors emphasize that there is more work to be done. The authors highlighted a number of research opportunities for improving our understanding of climate-smart agriculture. Low gas sampling frequency in many nitrous oxide emission studies leads to uncertainty in the actual influence of different management styles on these emissions. In order to better understand the real influence of these practices on emissions, side-by-side comparisons in different soil types and under different management practices are necessary. Other more specific studies are also necessary, including new studies on the influence of cover crops on nitrous oxide emissions; the authors suggest that current emissions factors, which are constants used in these calculations, are too high and skew results. Researchers also highlight the limited geographic extent of data, which reduces the reliability of conclusions drawn from even the most robust modelling tools such as COMET-Planner. 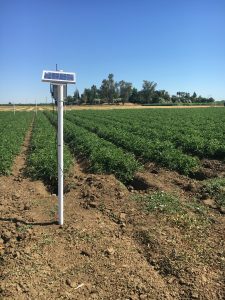 What does this research mean for climate-smart agriculture in California? This new research comes at a crucial moment for climate-smart agriculture in California. The state is currently outlining an interagency effort to address climate change through programs on natural and working lands. The state plans to use CALAND, a controversial model. Experts have expressed numerous concerns due to its oversimplification of GHG dynamics in agriculture; most importantly its omission of nitrous oxide emissions from the model. As a result, the state’s estimate of the potential for agriculture to reduce emissions will likely be inaccurate. While this may pose a challenge for climate-smart agriculture going forward, increased interest and emerging research opportunities present a bright picture for transformative agricultural solutions writ-large.